My sister and I own an arts and crafts studio where we see all walks of life – boys, girls, men, women, newborns to seniors. We like to think that our shop is a cozy place to come to when you feel like being creative. One of the loveliest surprises though, is the power that the simple act of painting has for some of our customers. My sister and I have a brother that has Down Syndrome, so our lives have been surrounded by people with different needs. Growing up with him, he was involved in lots of sports – swimming, running and even bringing home a gold medal from the Special Olympics for bowling! So we always saw sports as a great outlet for him when he was younger. What we have come to see in the shop, however, is that pottery painting seems to be a great outlet for people with special needs. We have had many kids and adults with Down syndrome, autism, memory impairments and physical and mental disabilities paint in the shop and they love it! 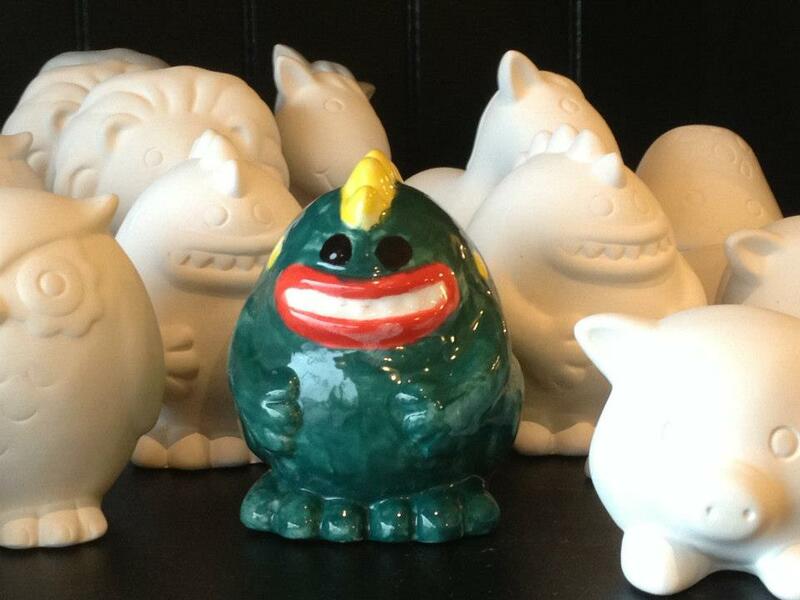 Painting pottery can be both a calming and a stimulating activity, depending on the person. The repetitiveness of the brush strokes, the gliding of the paint over the ceramics, the focus on attention to detail can really calm someone and put them into the “zone” of painting. For others, the multitude of paint colours, brush sizes, sponges and stencils keep them engaged in the activity as they are constantly trying something new. One of our great customers, Reid, has Down Syndrome and has created some great pottery as well as a fabulous glass picture frame. He is sweet and easy going and an inspired artist! As for our brother, he isn’t into the whole “pottery thing”, he will stick to his sports, thank you very much….